Healthcare continues to be critical to the quality of our lives. Now that the National Digital Health Strategy 2018-2022 has been finalised, the next big steps we take will be achieving a level of digital health that empowers clinicians to make more informed decisions in real-time. The challenges of getting to this point require IT and Operational staff to work in conjunction with clinical staff and executives to balance the potential of digital initiatives with the realities of providing care to a diverse range of patients. 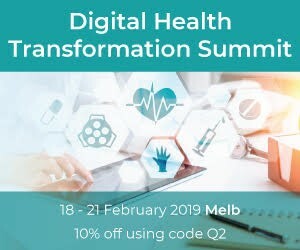 Liquid Learning is excited to partner with AHHA across this event and offer all AHHA subscribers a 10% discount when booking. Click Here to Book Now and Reserve Your Seat! Use priority code Q2.